← MONDAY INSPIRATION: BE FREE! MONDAY INSPIRATION: WANNA BE GREAT? Last night I had a dream (I know, it sounds stereotypical…) where an unknown person talked to me about the 3 key steps to success – not meaning by the word success what is generally considered as such by society, but what makes you happy and fills your human existence. The first one was what impressed me the most. It was: ‘Give it a try!’ Many times we loose spirits even before trying one thing that appeals to us as we consider the way ahead too steep, and that happens in yoga as well as in the chosen sport, in work and overall in life. Let’s change that! 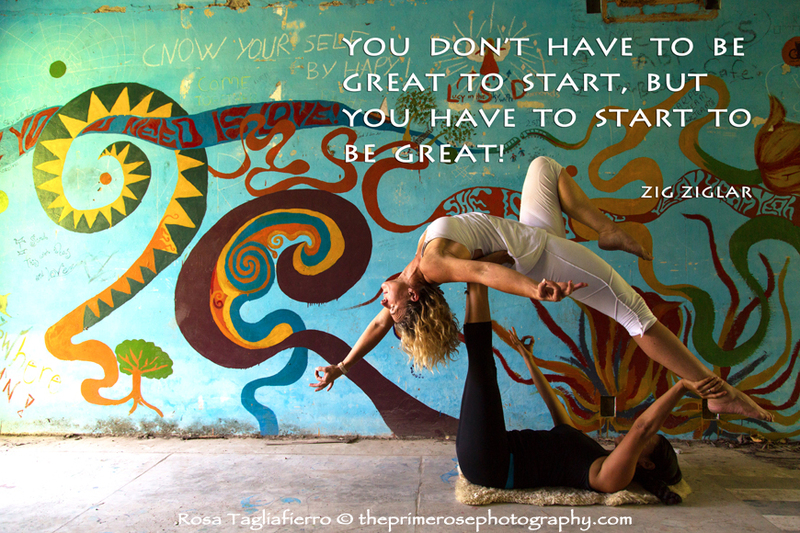 Let’s recall what Zig Ziglar said so well: ‘You don’t need to be great to start, you need to start to be great! This entry was posted in Monday inspiration and tagged be the best, Monday inspiration, quote, Rosa Tagliafierro, success, theprimerose photography, yoga photography, yoga pictures, yogic photos, Zig Ziglar. Bookmark the permalink.